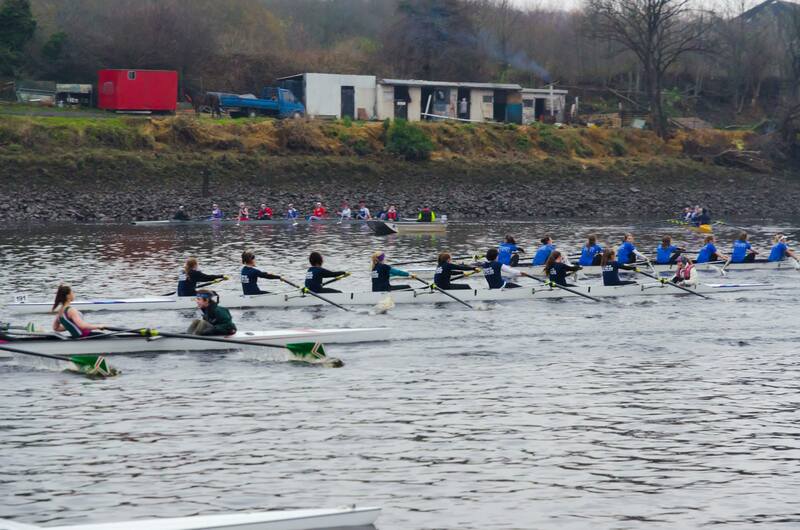 Last Friday saw the largest contingent UCLBC has ever sent to a race head t’up North to Newcastle for Rutherford Head. 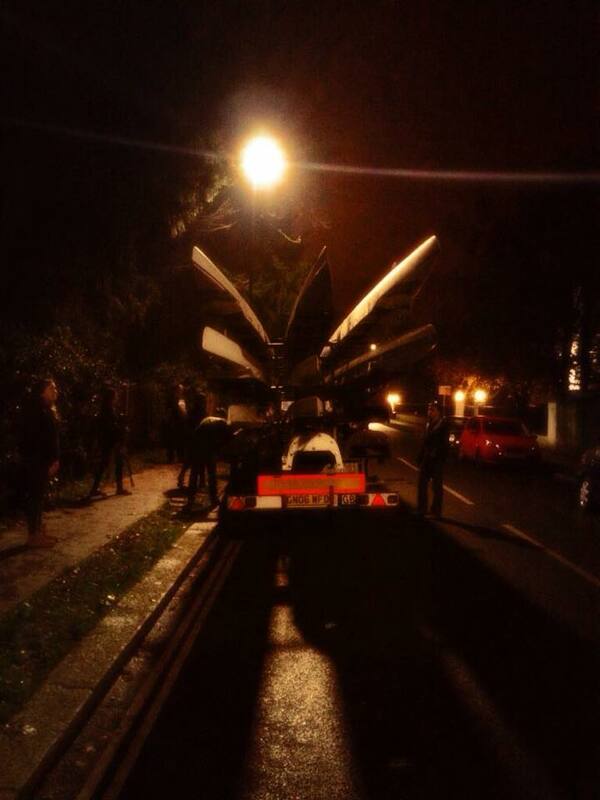 A late arrival on the Friday night and an early start on Saturday morning saw some tired eyes arrive at Newcastle University Boat House to rig up the modest 10 boats (including 8 8s) we’d brought with us. Where did all our boats go? Excitement rose as racing drew near, especially for the novices who were competing at their first full length head race. Any hangovers of weariness from the interminable coach journey of the day before were soon forgotten. The first division saw four Men’s 8s and two Women’s 4s paddle down to the start to race back upstream, against the tide. All crews put in solid performances with the Senior Men’s 2nd 8 in particular dropping the hammer hard clearly rowing with points to prove and finishing just 9 seconds behind the 1st 8. 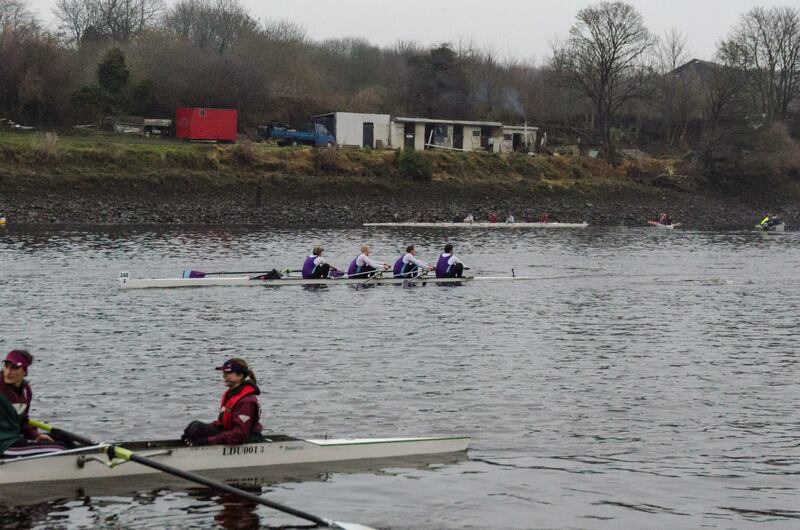 Division 2 in the afternoon saw another 6 boats racing – four Women’s 8s and two Men’s 4s, including many coxes and rowers doubling up after the morning races. 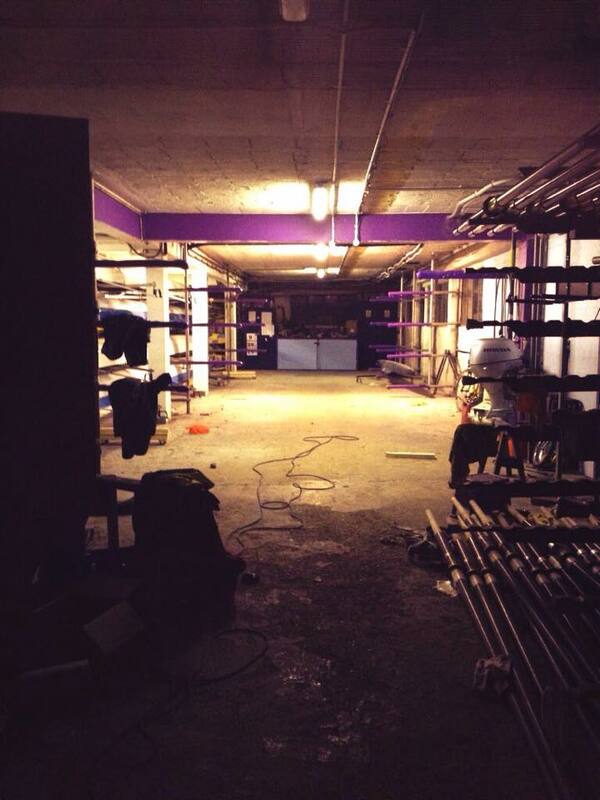 The support from the bank for all the crews racing was phenomenal. Special thanks go to our friendly northern University College counterparts for the lending of an adjustable spanner prior to the start and saving the 8 rowing the 4.5km course as a 7 – thank you UCBC, it will be returned! The senior women’s 8s landed to hear the news that the morning’s results were in and that one of their 4s had won the W Nov 4+ category by 48 seconds! A very impressive result for the crew especially considering they had only had one outing before the race. Although it felt like we’d only just arrived it was now all hands on deck to de-rig the boats and load them up before heading over the river for the 4 to collect their prizes. 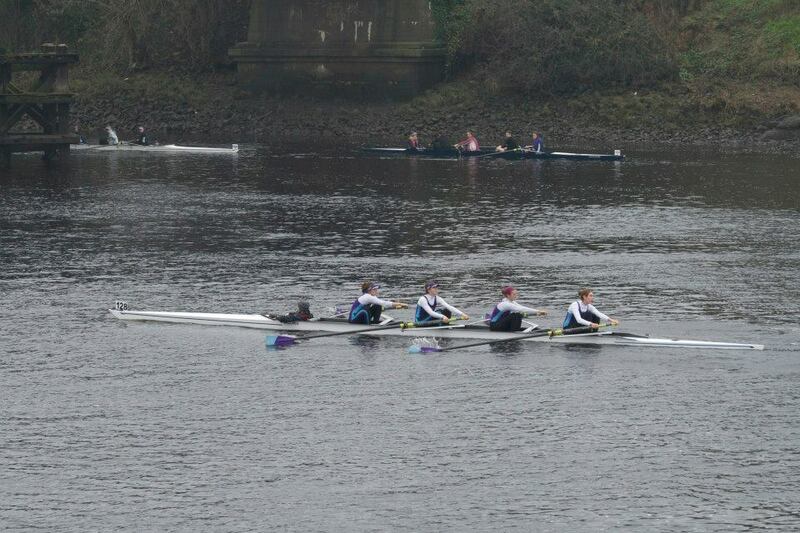 On arriving at prize giving it then became clear that the women’s 1st 8 had also won their category (W Im2) although by a much smaller margin than the 4 winning by 1.5 seconds! The lads racing in division 2 in fours were not so lucky. Despite faster rows than some elite crews the IM3 4+ came in 2nd in class, pipped to the win by less than 2 seconds, the Novice 4+ raing also secured 2nd in class also. These were pleasing and promising results for two crews having had 1 session together prior to the race. 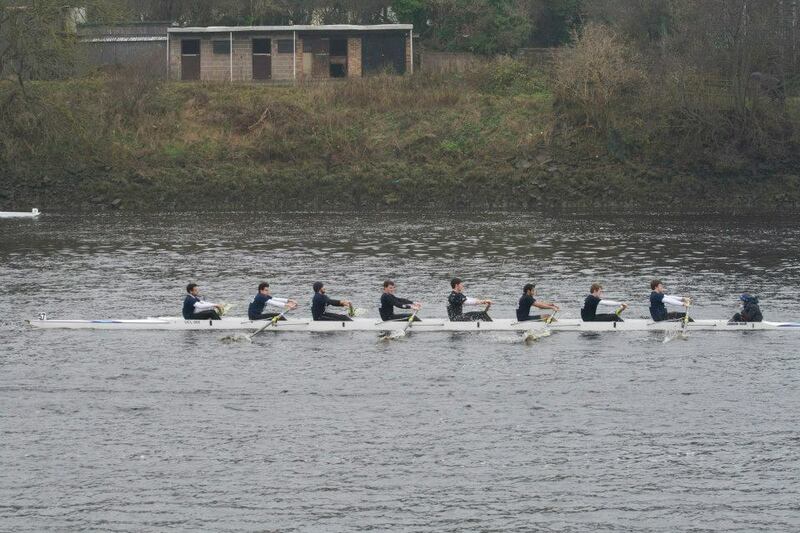 For the novice squads, Rutherford Head held the challenge of being their first lengthy head race, one which they took on well and with impressive results. 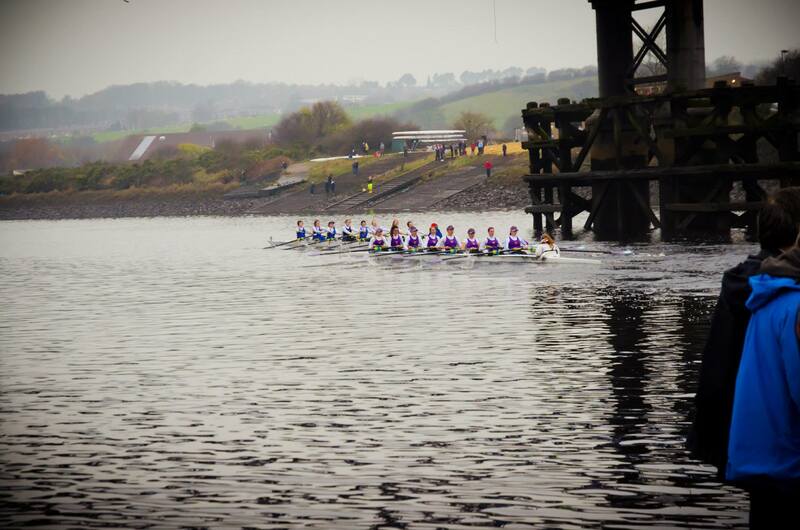 After only eight weeks of rowing, the novice women’s 1st 8 held its own against other university beginner crews such as Newcastle as well as non-beginner crews with much more experience. 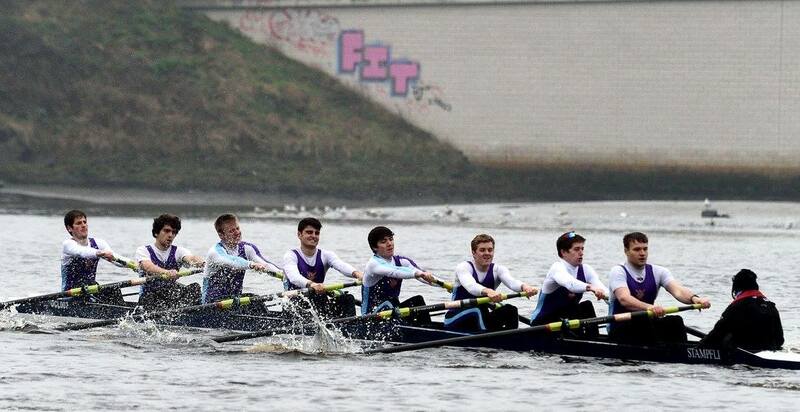 The men’s 8s took a lot of valuable experience away from the weekend, with the 2nd 8 closing the gap on the first, driving competition for seats within the squad. With the boats safely loaded, racing behind us and some great results and experience gained spirits were high as we headed back to Heroes Hostel for the social side of the weekend to begin! After the squads parted their separate ways for brief but intensive nutritional replenishment we reconvened at the Hostel. Fortunately we were the only occupants and we quickly took over all the rooms, corridors and staircases for the games and challenges that Megan and Nina (our social secs) had devised. After a time we assembled merrily en masse to be herded out to the chosen club and from what was remembered it was an awesome night! The following morning we plodded down to the Newcastle Quayside for a big spoons breakfast before sadly having to get back on the coach and in the van to head back down the A1 home. It was in all respects a very successful weekend for the whole club. Thanks to Aine and Connor for being great unofficial photographers for the weekend!